Laser's 2M Shielded ver2.0 for 4K UHD and 3D TV HDMI Cable makes it easy to connect your devices to monitors, projectors or TVs to share and enjoy your favourite media. Made from high quality OFC copper and shielded with multiple layers of insulation ensure an interference free signal transmission. 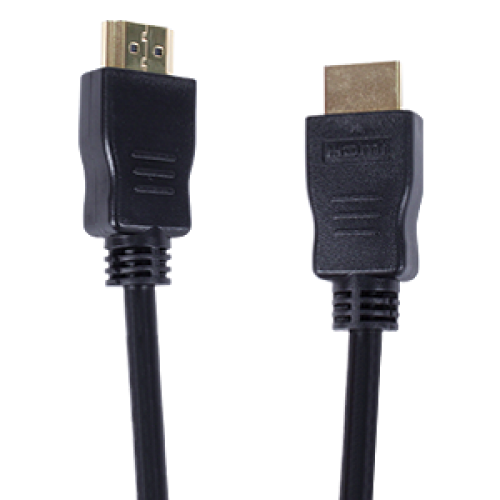 The outer flexible nylon braiding makes the cable easy to use in tight spaces (like behind flat panel TV's or in AV cabinets) and gold plated connectors with moulded plugs to get a secure fit in any HDMI device. Ultra HD (UHD) 4K content and 3D TV, this HDMI cable is compliant with the HDMI standard 2.0 and all previous versions (V1.4, v1.3, v1.2). It also works with all older HDMI devices as well. Features such as Audio Return Channel (ARC), Dolby ATMOS and High Speed Ethernet are all supported so this cable is ideal for high end Home theater receivers or just connecting your Blu Ray, STB, DVD player.or gaming console.